Oops! We almost missed this one, but thank goodness we decided to do a little more than the usual amount of celebrity stalking today. 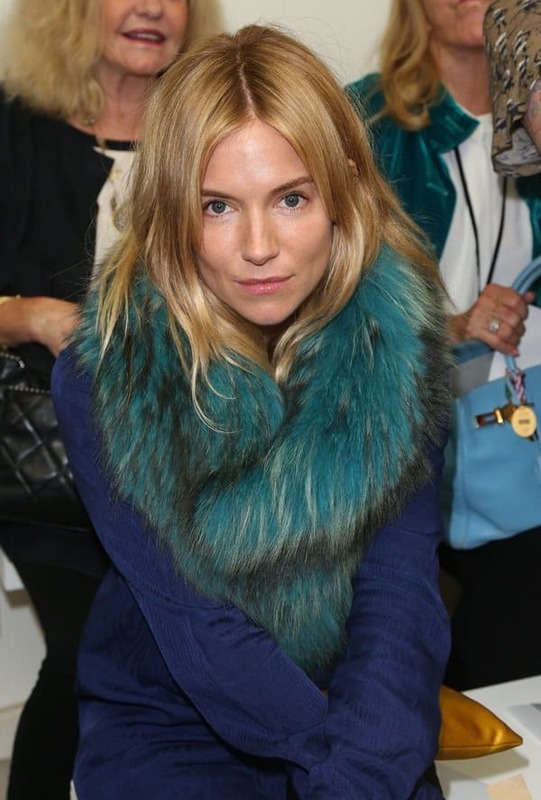 Turns out, former “it” girl Sienna Miller was spotted sporting some serious fur while attending the Mathew Williamson Spring 2014 presentation during London Fashion Week. Sienna rocked a very simple outfit for the occasion — a blue blouse, skinny trousers, and pointy flat black Zazou lace-ups from Christian Louboutin, but she added a mega dose of drama by topping the attire with an emerald green furry scarf from Charlotte Simone. Well, what do you think of Sienna’s front-row style? Did she score a hit, or do you think the celebrity stylista has lost her mojo? We give her a thumbs up for this one. The green furry extra was the perfect last layer; it turned her ordinary outfit into an outstanding one. She looked chic and completely effortless, much like the Sienna we used to know. We also love the way she wore the fur with barely-there make-up as the color was already enough to create a statement. 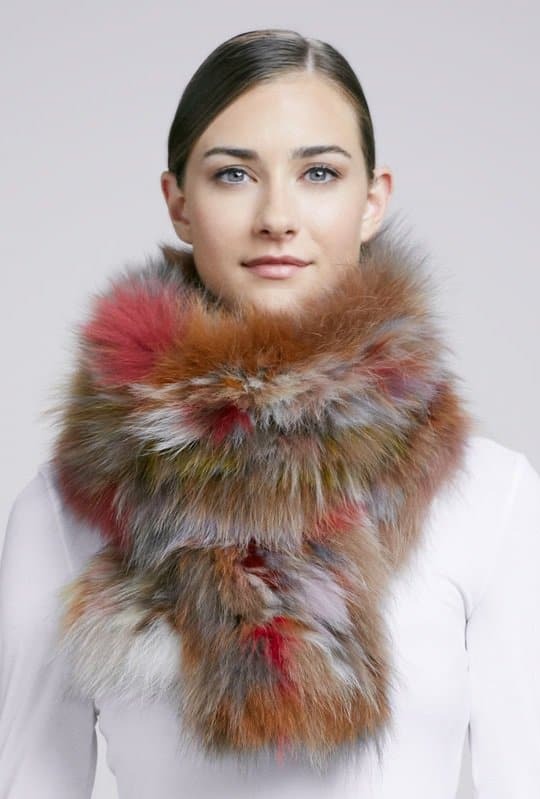 Colored fur is actually one of the trends this season. 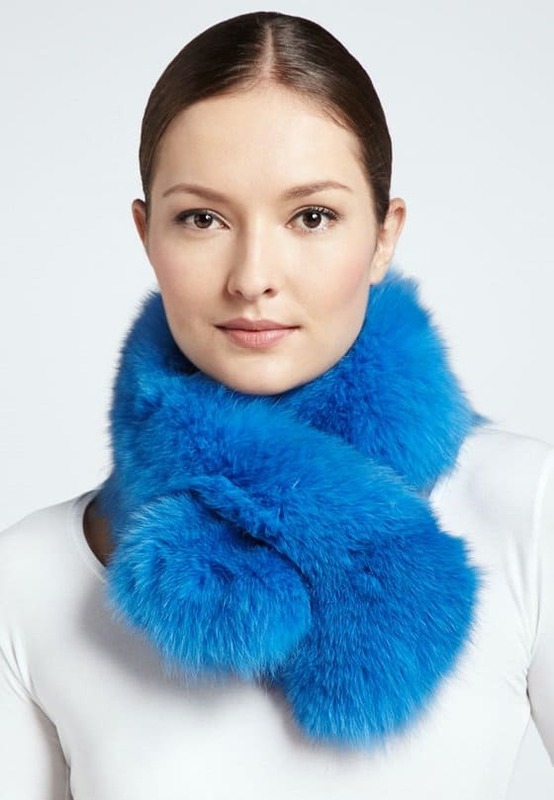 If you’d like to give it a try without drowning yourself in some hairy mink coat, try a colored fur scarf instead. Alternately, you can also try these more affordable furry options if you don’t want to overspend. These aren’t as fluffy nor as full, but they’ll give you just as much drama.